Inflammation is a red flag to a variety of diseases, illnesses and ailments that plague people from all walks of life. Inflammation in and of itself is the response that a healthy body has to cellular damage or a threat to the body. This means that when our bodies are struggling with inflammation, it’s a warning sign of something else. Inflammation isn’t the cause of illnesses or disease, but rather, it is our body’s way of telling us that something is wrong, or trying to fight back against what is harming it. Chronic inflammation “occurs when your immune system gets set permanently to “on.” As a result, it constantly releases a flood of damaging chemicals that could sicken your cells. It’s like a forest fire that never goes out,” says naturopathic physician and nutritionist Kellyann Petrucci, ND. The best way to figure out how to avoid chronic inflammation is to figure out what causes it, and how to avoid the causes of inflammation as best as possible. Candida Albicans are parasites that live inside of our intestinal tract. While the thought of parasites living inside of us seems a little terrifying, these little parasites often hang out with bacteria, creating a balance inside of our bodies. However, imbalance within one’s digestive tract can cause an overgrowth of Candida. When the Candida get out of control, they tend to tear through the intestinal walls and get places in our bodies that they shouldn’t – which, of course, causes our bodies to correctly perceive them as a threat, which causes inflammation. Candida tend to become overgrown in our bodies when we aren’t getting enough beneficial, healthy bacteria. The best way to avoid an overgrowth of Candida, and thus inflammation, is to make sure you’re keeping your body in balance. Avoiding alcohol can help stop killing off the beneficial bacteria, and avoiding sugars can stop feeding the Candida. Dr. Carolyn Dean MD ND states, “I have found that reducing sugar intake is one of the most important ways to control hypoglycemia, diabetes, and intestinal yeast.” Other foods that mess with the Candida and bacteria balance in your gut are GMOs and foods that are covered in pesticides, as well as refined foods that form acid. Free radicals happen naturally in our body, and like many things that happen within our bodies, they’re generally a good thing. Free radicals are like particles that move around inside of a cell, destroying and burning up anything that they come in contact with. 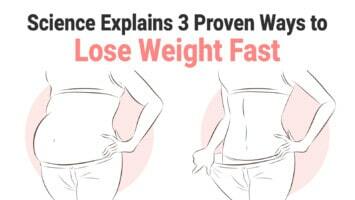 They’re created by our everyday functions, and their role in our body is to make sure that our weakest cells are eliminated so that our bodies can make new, healthy cells. Like a feedback loop, inflammation causes our bodies to make free radicals, which cause damage in the cells and makes even more inflammation. A change in diet can help bring down the number of free radicals and inflammation in the body. Diets that include food that are high in antioxidants, such as vegetables and certain grains, as well as food that is high in vitamin E and vitamin C. Nuts and seeds can be a great source of vitamin E, and citrus fruits, spinach and strawberries are a great source of vitamin C. Lowering the number of free radicals in your body can help lower the amount of inflammation. Nutrient deficiency can be a source of inflammation, since your body isn’t getting the amount of nutrients it needs. Too much of things that your body doesn’t need, along with too little of what it does, can cause your body to flare up in inflammation as a defense. Vitamin D deficiency is known to cause depression, a weakened immune system, autoimmune disease, and inflammation. Vitamin B deficiencies can both cause or be caused by inflammation as well. Along with changing your diet in order to get enough vitamin D and vitamin B, taking extra D and B vitamins daily can help both boost your immune system, as well as get your vitamin deficiency back on track. Once the vitamin deficiency is under control, the inflammation will become reduced as well, leading to relief in those suffering from chronic inflammation due to a lack of important vitamins. Our bodies are quite delicate mechanisms, but they’re also quite hardy at the same time. Inflammation is our body’s way of telling us that something is wrong, and listening to it is the best way to put a stop to chronic inflammation. 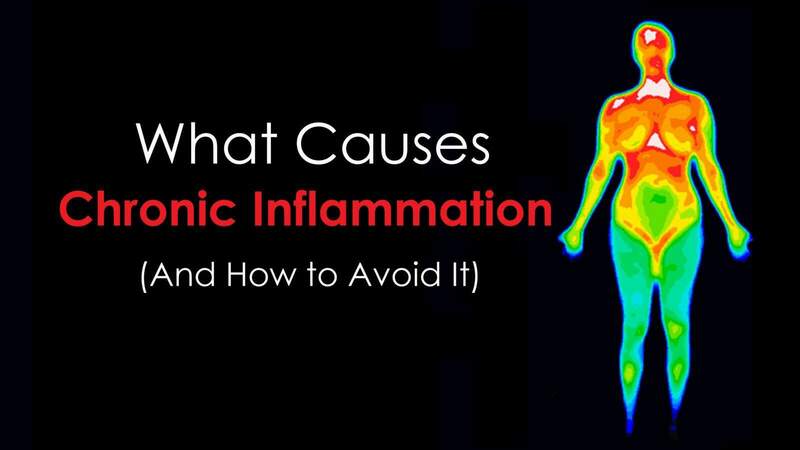 “Inflammation occurs naturally in your body. But when it goes wrong or goes on too long, it can trigger disease processes. However, you can focus on lifestyle choices that reduce your risk of chronic inflammation — the kind that leads to disease,” says Paul DiCorleto, PhD. 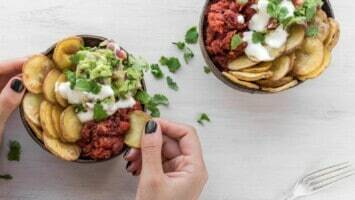 Therefore, removing unhealthy foods, adding foods that are good for our bodies, and making sure that our bodies are getting enough of the vitamins that they need will keep inflammation low, and make sure that our bodies only exhibit it when needed.